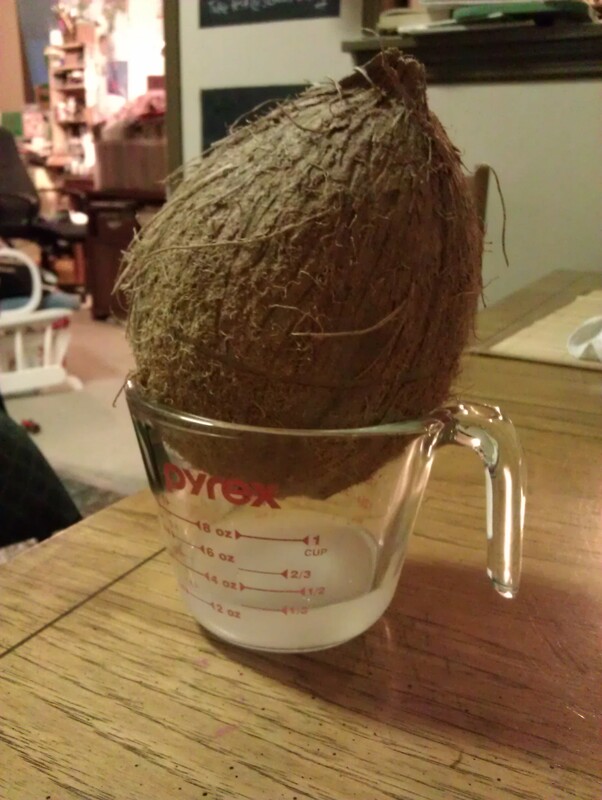 Tasty Tuesday – Cracking a Coconut | Who Are You Calling Crafty? Almost three weeks with no microwave I am doing well, Jeff on the other hand, he still uses it for oatmeal in the morning. One thing I have wanted to get for a while is a coconut. 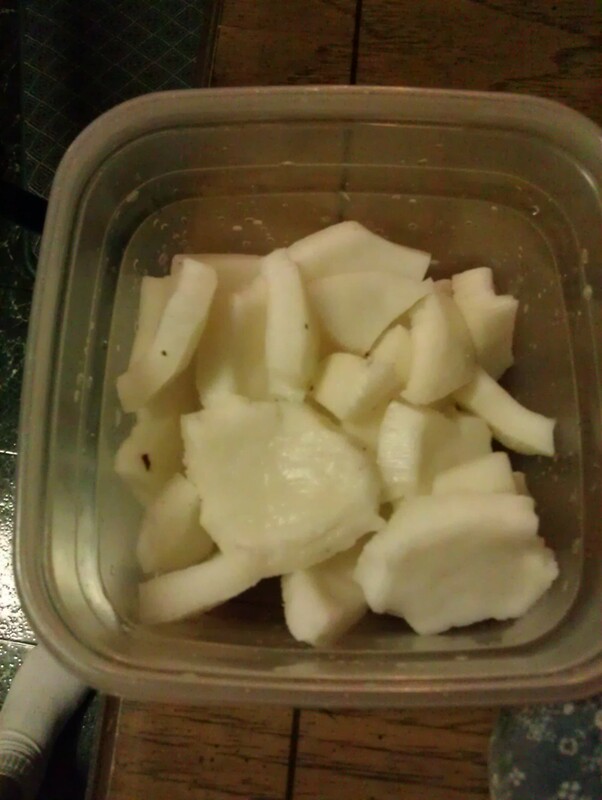 I love fresh coconut when I was in college I would buy one at least once a month. I would fight every time to get it opened but it was so worth it. Yesterday I went through and decided it was time to crack that thing opened. I took it outside (concrete works the best) along with a sterile flat head screw driver and a hammer. I hammered the screw driver into the “soft spot” of the coconut, twice so it will drain easily. Surprisingly that only took me 5 minutes (my neighbors probably think I am insane, which is nothing new – lol). 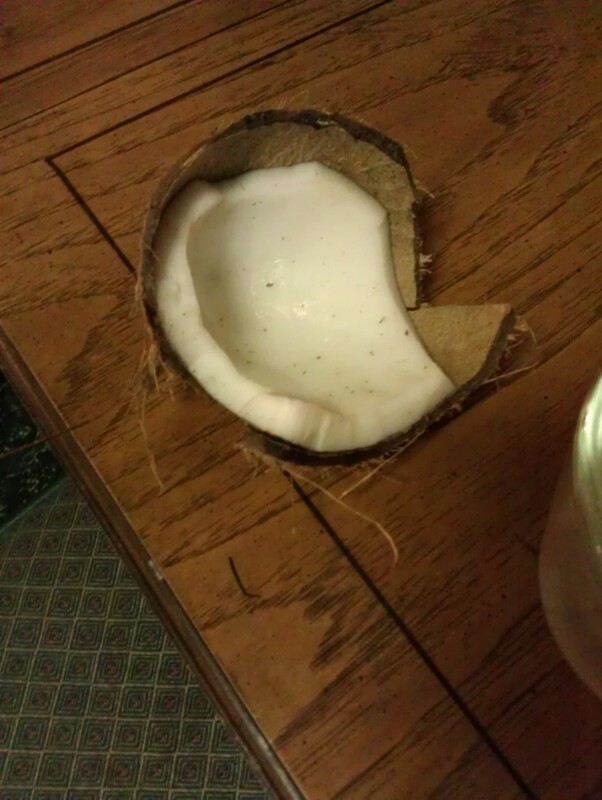 I brought the coconut inside and drained the liquid out of it. After it was completely drained I put it in the oven at 350 until it cracked (yes this really does work). I brought the warm (very warm – oven mitt worthy) coconut outside and cracked it opened with a hammer. After I separated the coconut from the shell I then peeled the brown from the white, washed it and put it in the fridge. I am not sure what I am going to do with it probably eat it but I am thinking of trying my hand at coconut milk. I honestly don’t think it is going to last that long because I love coconut.